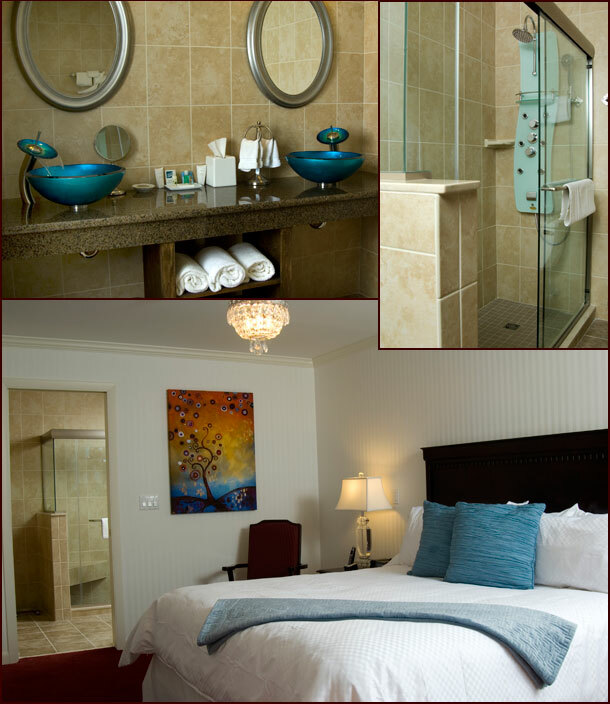 Completed in January 2010, Suite 315 offers top comfort, amenities and space in a two room suite. Enter into a large living room with granite wet bar, a 46" flat screen TV, and a leather couch that opens into a double bed. Connected to the Living Room is a covered porch to enjoy morning coffee or afternoon sun. The Master Bedroom offers privacy from the Living Room and has a crystal chandelier over a beautifully decorated King bed. The highlight of our luxury bathroom features two ocean blue bowl sinks, a tiled spa shower and a flatscreen TV over the granite countertop.